It’s done. Said with some relief; like a great task has been finally put to bed. The window seat bookcase will soon take up residence in my daughter’s apartment and for the first time in about a year and a half, I can begin to think about what to build next. This bookcase is not the most difficult project I’ve ever built, but it almost is. And this is not because my daughter asked for a complex design. 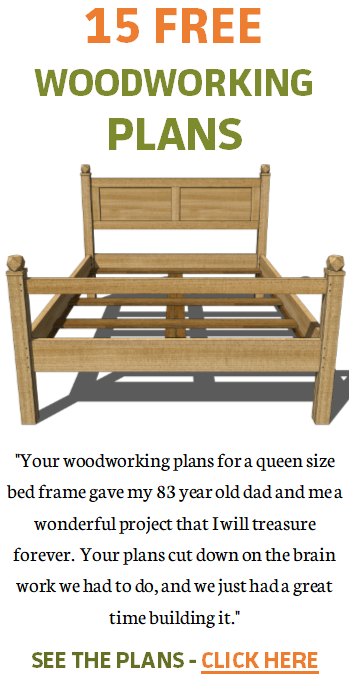 She would have been happy with something nicely designed and made of plywood; with a painted finish. 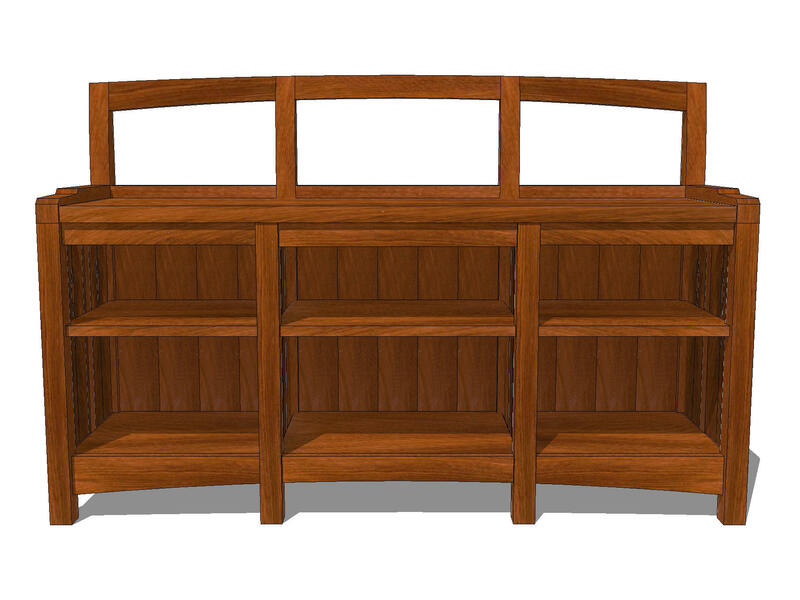 It was me who designed this bookcase and it includes some design features which were challenging pull off. From the outset, I wanted to accomplish something new. I wanted to test myself. Mission accomplished. This was my first full-blown furniture project since I began to acquire hand tools. This was very much a hand plane learning project. During construction, I took two plane blade sharpening classes. I bought additional sharpening accessories. I still have a way to go before I get truly sharp chisels and plane blades, but I am getting there. 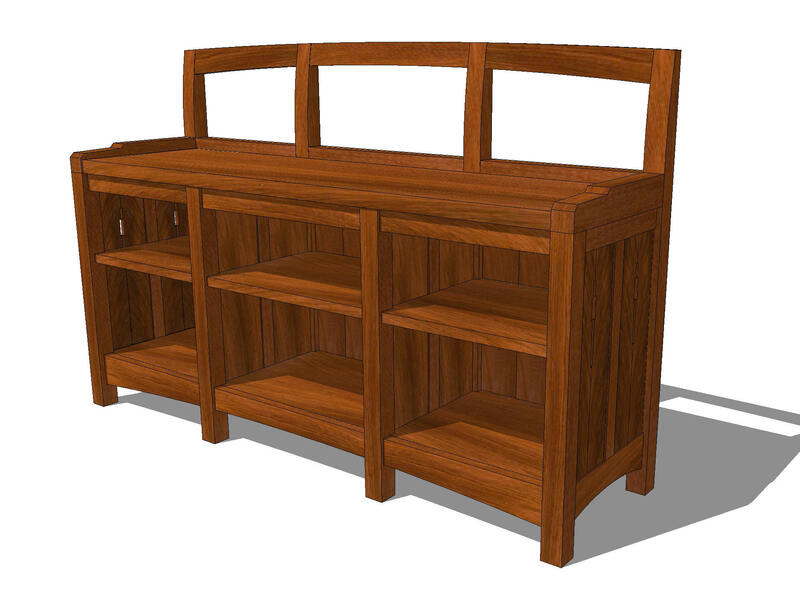 For this bookcase, almost all of the joinery is wood to wood. I did not want to cut corners with the joinery. I did use screws and nails to attach some non-structural pieces, but dowels were used everywhere else. Funny, dowels used to be frowned upon, but I have seen some high level work completed where dowels were the primary joinery method. Doing final application of wipe-on poly. Super cool gain on the lower back apron. This back leg has almost a bird’s eye figure. If you look closely, you can see some flame like figure on the leg. The overall look of the bookcase is rustic. I bought the cherry as needed through my local Woodcraft store (not purchased all at one time). This means that some of the wood is already over a year old and some of it is much newer. 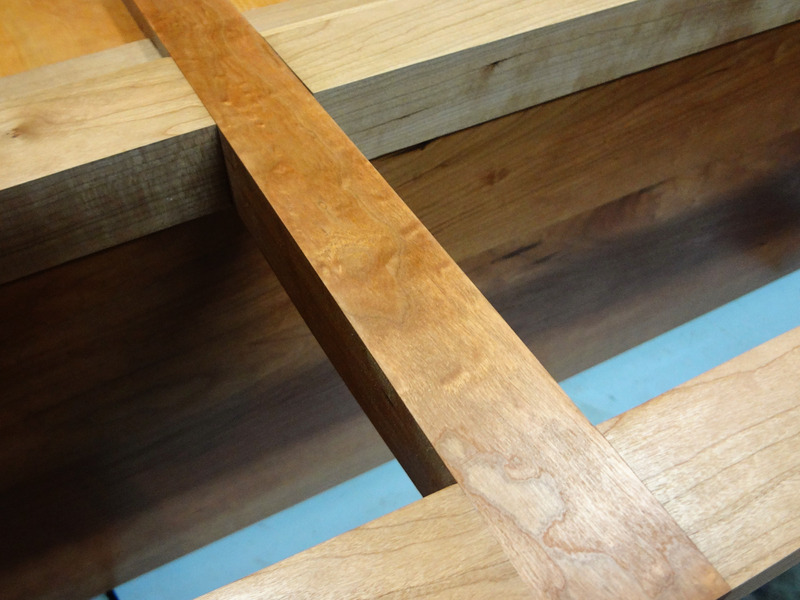 Cherry turns darker as it ages which has caused some color variation and a much less formal look to the piece. I am perfectly fine with that. Also, while putting on the final coats of finish, I noticed a few dents and scratches. This new bookcase is already developing a worn look. It has lived in my workshop for many months now and moving it here and there; bumping into various things in my small work area has led to an even more rustic look. The final count: 157 parts which needed fabrication in some way. All of the cherry was fed through my planer. 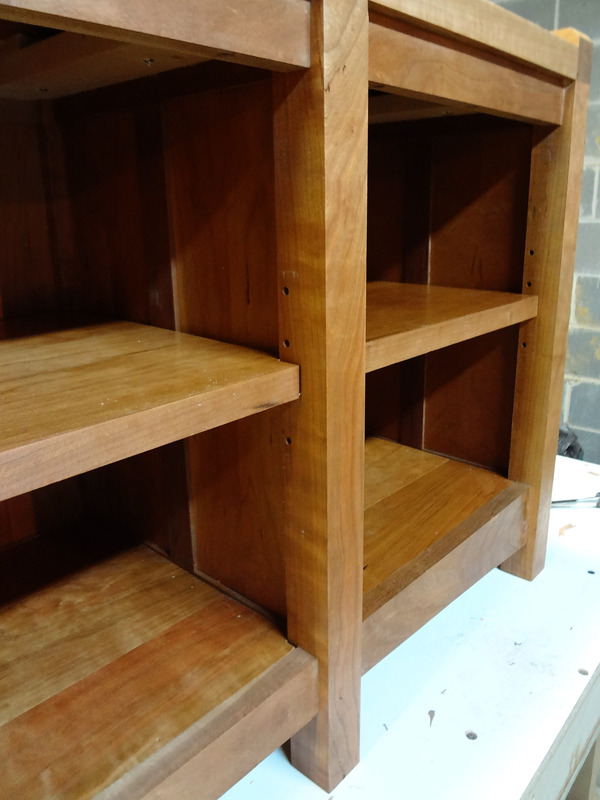 All the panels and the lower shelf had to be re-sawn. Some parts are 3/8″ thick, some are 3/4″ and some are 1 1/2″ thick. Even the dowels had to be cut to a special length. 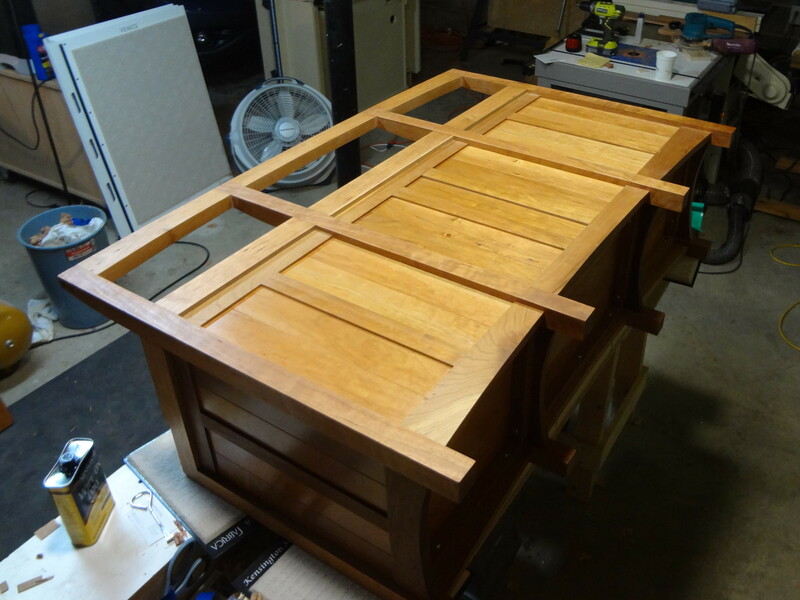 All the cherry was pre-finished with at least three coats of wipe-on satin polyurethane. Many of the parts had to be finished on both sides. Original design – front view. I plan to post some glamour shots of the bookcase at some point in the future, but for now, I am calling this project finished. It looks great! I think hand planning cherry is a challenge. I found you need a very sharp plane. The figure changes so much that tear out for me was the usual in the beginning. Looks great I know she will love it! Thanks, I had a lot of tear out on the legs. The grain direction was all over the place, but I tried to hide the worst of it by turning those faces to the interior of the bookcase. Otherwise tear out wasn’t too bad. I think my daughter will like it a lot. Very nice. I’m sure your shop has a empty hole. I always have an empty feeling when a project is completed, especially one that leaves my home, but it is usually offset by the joy of being done. Outstanding work, Jeff! I’m sure you’re both relieved and proud. It was a long time coming but well worth the wait. Bravo! Thanks. I am relieved. This project almost did me in. It turned out great; regardless of how long it took. Maybe a cutting board next? Although, I started one over a year ago & I’m still not finished. In my defense, I tried to make it with my first table saw with the super unstable fence. It’s kind of a mess. I like it… thinking that the back is so pretty…I hope it doesn’t end up against a wall where it won’t be seen. I would want to plop it right out in the middle of the living or maybe the bedroom. On the other hand, neither one of us should tell your daughter where her bookcase/bench belongs. Thanks. Regardless of where she puts it, the back turned out great. For most of my projects, I’d put a plywood back on it and paint the back. 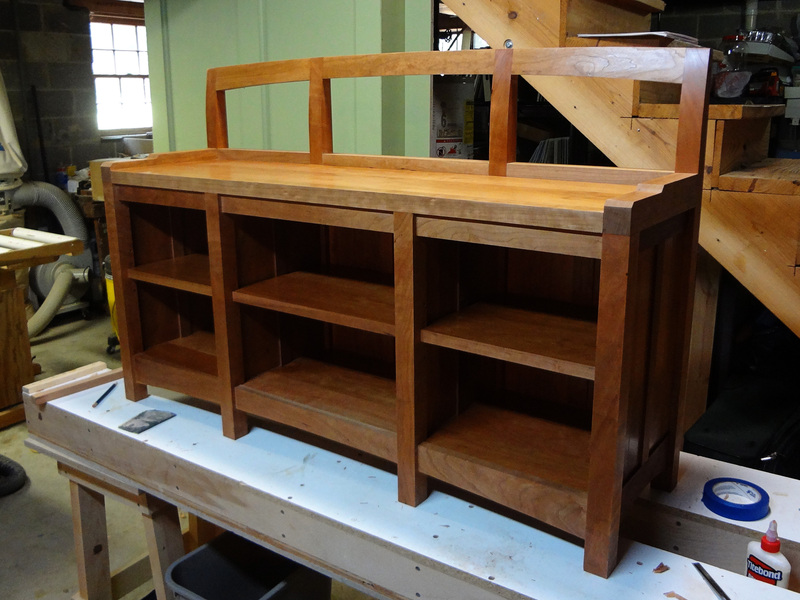 But in this case, the back also becomes the inside of the bookcase, so I wanted it to look really good. Good things take time and this is heirloom quality. Absolutely gorgeous! Quite often I feel a sense of emptiness when finishing a project, specially a big one. You have been putting all your energy, free time thoughts and also free time into this project, and then one day you decide it is done. Then, for me it takes some time to say goodbye to the piece and move on to something else. Gerhard, I know what you mean. Having an empty workbench will be an odd feeling. I’ll start my next project pretty quickly. i think it turned out great! I bet the joinery on the back rest part was challenging. It does feel good to complete a project and not rush it at the very end just to get it done. Congratulations. With this project, I waited until the end to glue everything together. 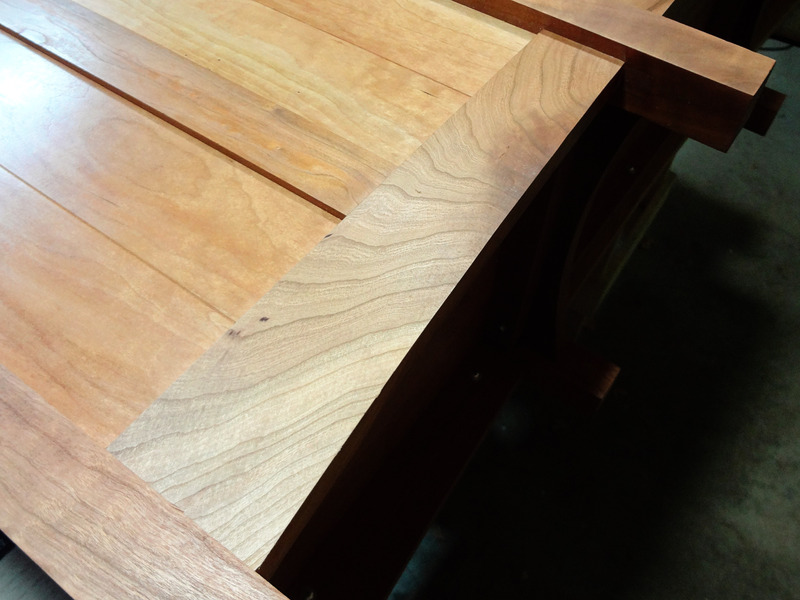 Upon glue-up, I had to re-trim the back panels to ensure a good fit with some expansion room. So yes, the back was a challenge. You’ve built a piece of art that your daughter can use and love. It’s fantastic. And I love how you can point out all the little foibles of the grain, you know this piece so well that it’s ingrained in you. Looks great and it will look even better after a few years of sunlight! It’s going to to be an amazing heirloom. Thanks. I can’t wait to see it darken up. Very nice. The finish looks terrific! Love this!! Such a gorgeous piece! Looks Great! I’ve been following along and had a bookcase for my daughter that was on a similar timetable. Also a project to extend my abilities. 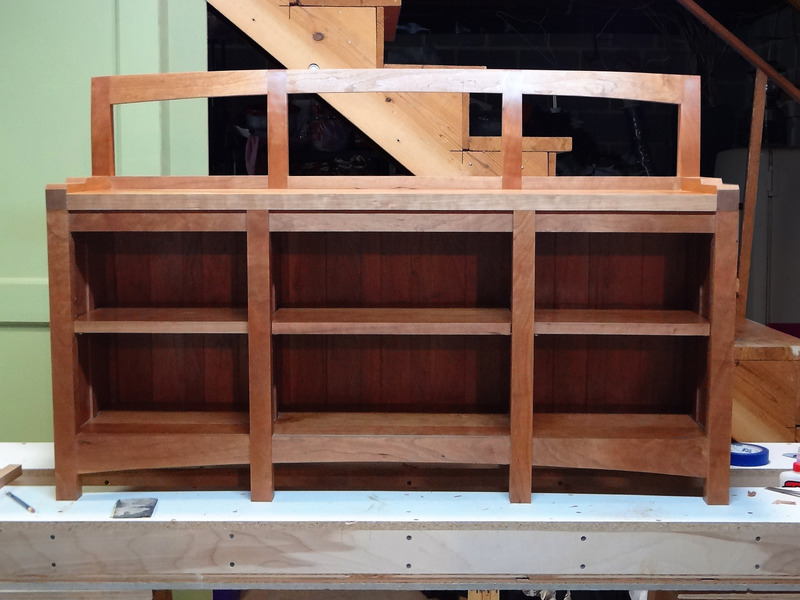 Cherry case with raised panels and curved mahogany top, stained glass doors, slide out shelves… First time for stained glass and for bent lamination. Lots of fun, good thing I don’t have to make a living from it though… Looking forward to the next projects. Great job! I am planning on building some window seats in my house. However, my windows come close to the floor and I will not be able to build a tall bookcase under the seat like you have done. Could you send a picture of the bookcase in place in front of the window so I can see how it is positioned? Gorgeous! 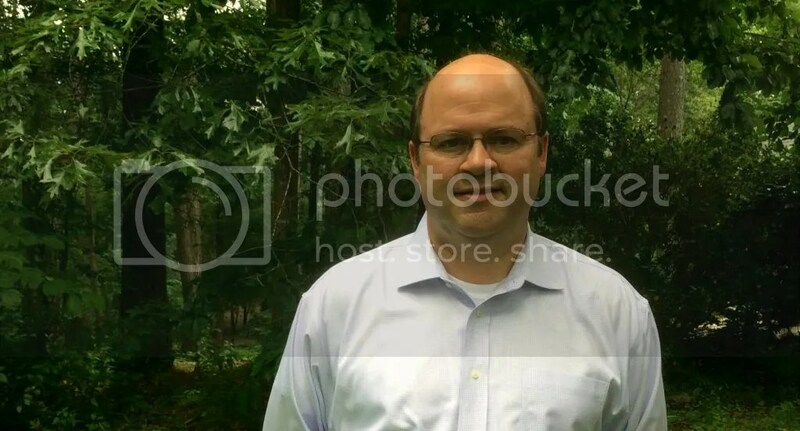 The subtly curved top is a nice touch. I would love to see a picture of it in front of the window too! Just Amazing work!! All of it. Thank you for documenting the process!